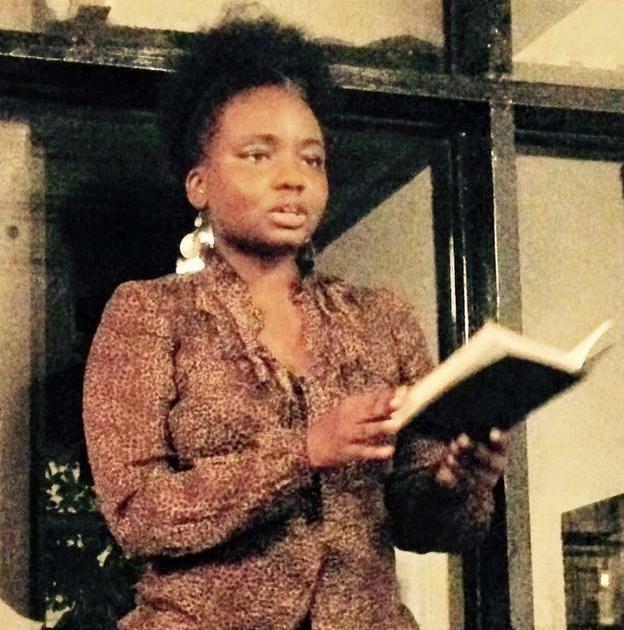 Amber Atiya is the author of the chapbook the fierce bums of doo-wop (Argos Books, 2014). Her work has appeared in Black Renaissance Noire, Boston Review, the PEN Poetry Series, Nepantla: A Journal for Queer Poets of Color, and been featured on Poetry Foundation’s radio and podcast series PoetryNow. Her poems have been selected for the 2014 Best of the Net Anthology and nominated for Best New Poets. A proud native Brooklynite, She is a member of a women’s writing group celebrating 13 years and counting. I fell in love with the poet Chrystos when I read her poem “I Like a Woman Who Packs” in an anthology of Lesbian Love Poems. Her Book Not Vanishing reaffirmed for me the importance of art-as-activism, as a mode of healing. The first time I heard June Jordan’s “A Poem About My Rights” was in a college writing workshop for women. To hear lines like “I know in my single and singular heart that I have been raped” and “I am not wrong/wrong is not my name/my name is my own my own my own,” that in your face, that unaffected and urgent, I thought I’d burst into flames. Some people might call this a perfect example of righteous indignation, and is it. My professor called it a rant, plain and simple, a term that I fully embrace. How did your poem everytime i speak, my gums bleed come about? I’ve been thinking a lot about how, although English is the only language that I speak, I come to it as a Black woman born in America who craves a language, a system of sounds, more compatible with my creative instinct, my voice and tongue and lips and teeth, which are unequivocally African. The conqueror’s language cannot fully capture the (out)rage, the grief and heartache I feel reading headlines, coming to the defense of Black youth who are verbally assaulted and harassed on the streets of New York (which has happened more times than I care to count), coming to my own defense when people try me because I’m Black/queer/female. I think about how my mothers’ tongues were snatched from them, how the ancestors don’t care about English grammar, and how in Black English, all we have is the present, is now. The ancestors are not the past, they are now. I was invited to participate in a poem-a-day group during Ramadan this year and my preoccupation with all of that led to the piece published in Issue Deux. I’m going to say the launch of my chapbook the fierce bums of doo-wop published last October by Argos Books. I put a lot of time and love and effort into this chap o’ mine–gutted half of the original manuscript, added new poems, and proceeded to revise. I had no idea what I was doing, was making it up as I went along. I think the final version of the chap is more woman-centered, less random, although there’s nothing wrong with that if it works. Argos created these lovely pocket-size works of art, hand-stitched. One poem is even a fold-out page, it’s so good. And I’m proud to say that, outside of the handful that I have left, they’ve sold out. I am fixated on black and brown bodies in America, how this country chews them up and spits them out, how my own consumption of death through television and social media has made me feel quite unstable (emotionally) at times. And yet if I didn’t tune in and log on, I wouldn’t know about Sandra Bland or Tamir Rice. I wouldn’t know about about the nefarious deeds of Monsanto, and the healthcare industry at large, the prison industrial complex at large, The ongoing plundering of African resources, the propaganda created by the west to demonize Islam and the Middle East. If there’s such a thing as a perfect poem, then America as a Room would be it–not a false note to be found. I hate paying for tampons and pads with wings. I hate walking out of a drugstore twelve dollars poorer every month because corporate thieves just HAVE to profit off of the shedding of my uterine lining…currently cooking up a visual poem that tackles this in some way. Also, I’d like to incorporate text into the sonogram photo of a fibroid. It simply has to be done. Off the top, I’d have to say the singer Alice Smith. Her music is rhythm & bluesy folk-funk-cabaret. Love her. This entry was posted in Blog, Les Femmes Fatales. Tagged amber atiya, atiya, Chrystos.